We are a cheerful marriage movement that offers reading groups to friends who support the historic understanding of marriage. By bringing people face to face to engage in the art of conversation with others, we explore the various issues affecting the marriage culture in a calm, thoughtful setting, free from the hostilities often found in today’s public discourse. We are a forward-thinking and solutions-focused network of friends for marriage. Rooted in natural law, social science and plain good sense, our reading groups provide you with support and instruction on the meaning and magnificence of marriage. We embrace universal reasons in order to speak effectively and lovingly to all, regardless of race or religion. Marriage is a gift of our common humanity. 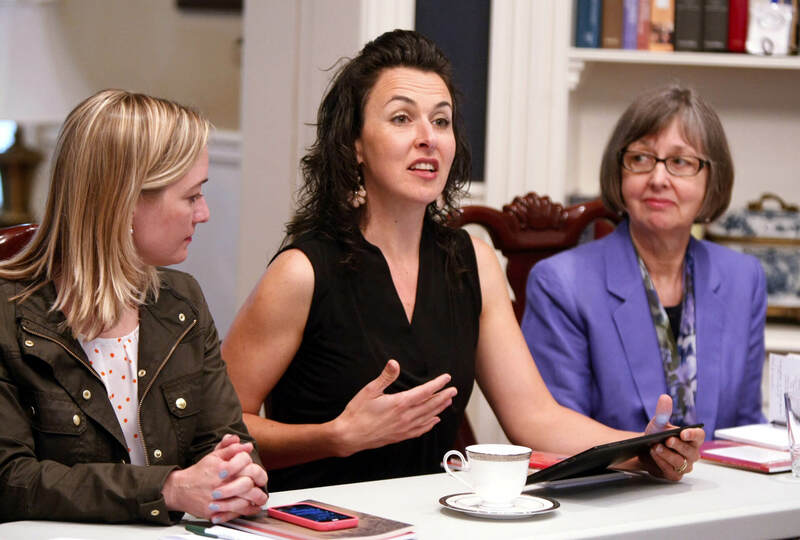 Begun in 2013 by seven moms and one marriage activist, CanaVox is now an international network of friends for marriage, with reading groups in 26 states and 16 countries. One of our founding mothers is a research scholar at the Witherspoon Institute, which provides CanaVox with funding and logistical support, believing as it does that mothers play a big role in shaping our culture. Join the CanaVox grapevine and you will be the first to receive our two monthly Dear Katy videos, as well as the occasional update. We promise not to overwhelm you with emails.